This exhibition of 20th Century Graphic art and artefacts by Fernand Leger, will be an inspiration to graphic artists, fabric designers and film-makers. The exhibition brings together more than 50 works by the renowned painter, sculptor, designer and filmmaker Fernand Léger (1881-1955). Léger's paintings, murals, film and textiles are infused with the bustle and rhythm of modern life. He drew on photography and new forms of communication that boomed during the ‘mechanical age’ of the 20th century such as typography, advertising and graphic design. His work was heavily influenced by his surroundings. Included in the exhibition are his collaborations with architects Le Corbusier and Charlotte Perriand. Also on display is his experimental 1924 film, Ballet Mécanique. This is the first major UK exhibition dedicated to Léger’s work in thirty years and celebrates the artist’s desire to make art a part of everyday life. As well as fine art and paintings, he was active in producing Murals, Textiles and Wall Hangings, so that contemporary interiors could reflect the tensions and images of modern life. He cre­at­ed mu­rals for pri­vate homes as well as public build­ings such as the Unit­ed Na­tions Head­quar­ters in New york, and de­signed cos­tumes, the­ater sets, and church win­dows. 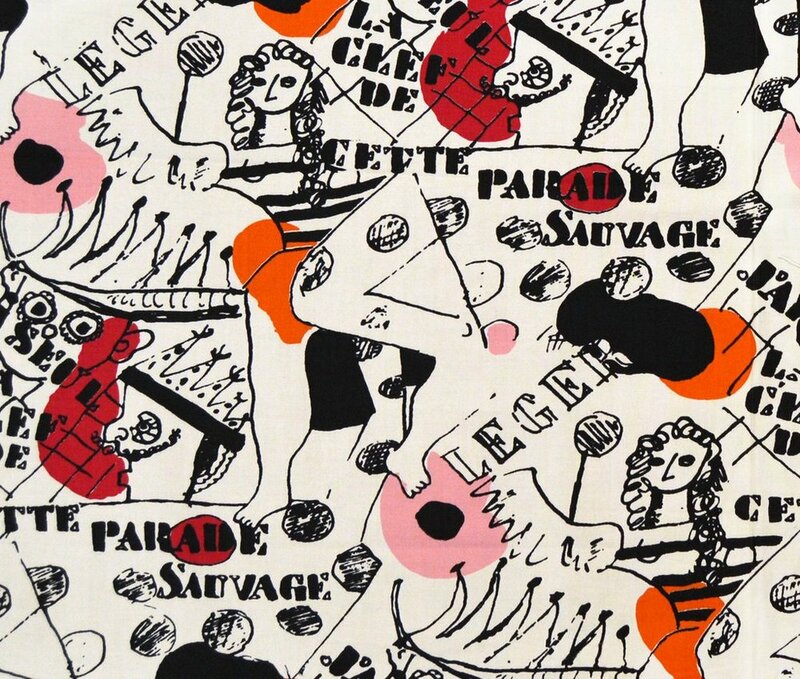 As artist-designed textiles expanded in the 1950s with collaborations between the New York-based Fuller Fabrics and artists like Pablo Picasso, Joan Miró, Fernand Léger, and Marc Chagall, Leger’s designs were featured on a number of printed textiles, most notably the ‘Parade Sauvage’ of 1955, a vibrant collage of images of modern life. Leger also worked in the 1940’s and 50’s with Aubusson and Cogolin Tapestry Makers from France, where Léger’s epic cubist works, such as his monumental Les Constructeurs series, lent themselves well to the art of the tapestry. The expressions of colour, the mechanical and geometric elements of his compositions, and the carefully wrought characters of man as engineer all shine through these meticulously woven masterpieces. Delighted by the collaborative process of tapestry design, Léger continued to lend his distinctive geometric designs to Aubusson weavers until his death in 1955.